From the standard everyday items such as printed mugs, key-rings, umbrellas and printed pens to sourcing new and innovative products through our in house sourcing team, our dedicated team is at your service to ensure you get the right product. 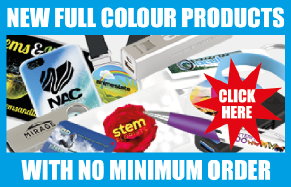 Whether you are looking for gifts for your next product launch, campaign, exhibition or event we can help you select the right merchandise to get maximum effect. Building and maintaining brand reputation takes hard work, time and creativity and with that in mind we are here to help you achieve that goal. With our own in-house design team, we can reproduce or create a design to compliment your corporate branding specifically designed to suit your selected business gifts.